The Scythe Ultra Kaze Fans will be compared against Scythe's popular S-FLEX range of coolings fans in 800/1200 and 1600RPM flavours respectively. In order to test the static pressure of the Scythe Ultra Kaze fans I constructed an air-tight test chamber which would allow me to physically assess how much additional static pressure the Ultra Kaze fans provided. The total approximate volume of the test chamber was 221.18 cubic inches. 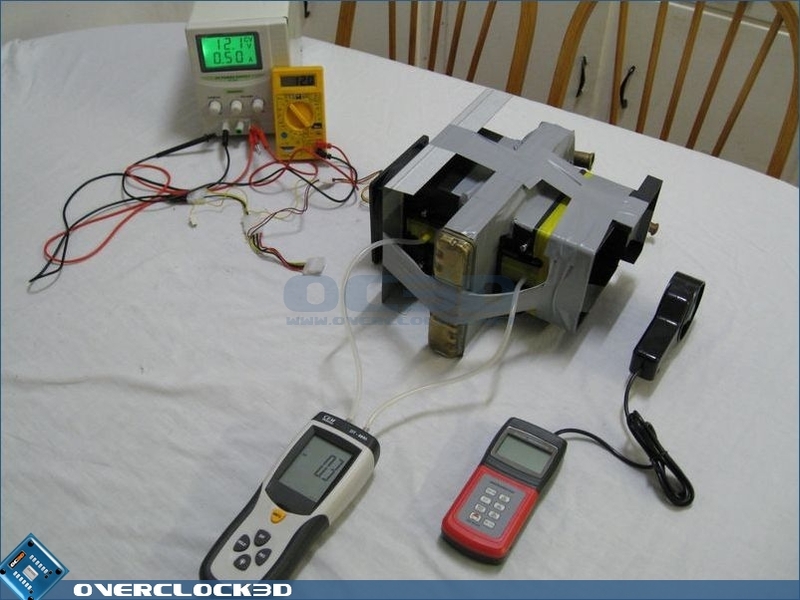 A digital Manometer was used to record the positive static pressure emitted by the fans. 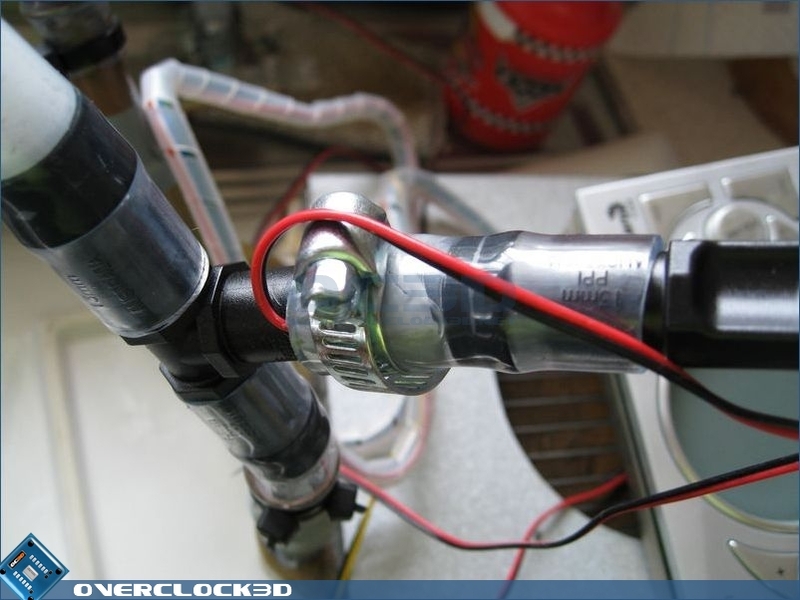 A Pito Tube from the digital Manometer was inserted into the test chamber out of the wind stream created by the fan, in order to prevent air velocity from corrupting the Manometer readings. Prior to testing the Digital Manometer was calibrated according to manufacturers specifications, in order to accurately read the resultant static pressure according to current atmospheric pressure. The Ultra Kaze Fans were then forced to pass a volume of air through a Toyaota Camry heater core, which will act as the radiator. 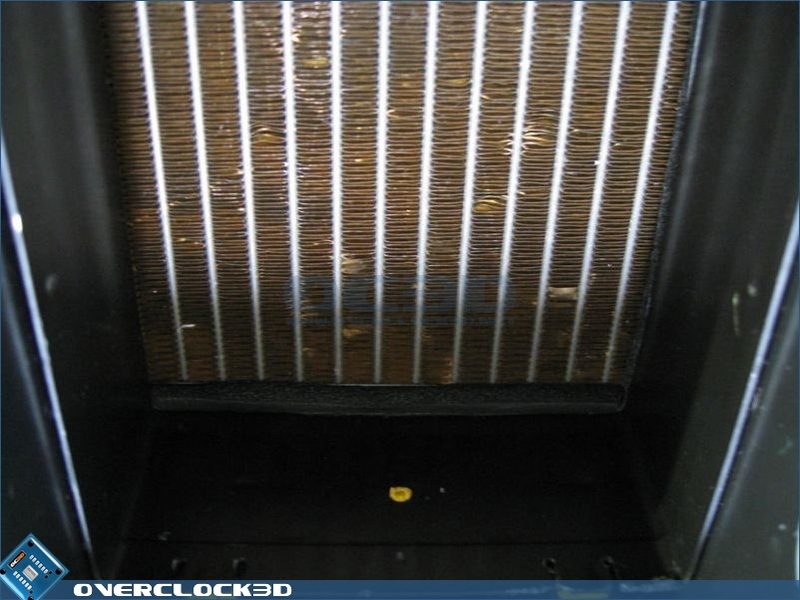 The heater core has a fin count of approximately 84 fins/square inch and as such should provide more than enough resistance for validatable results. 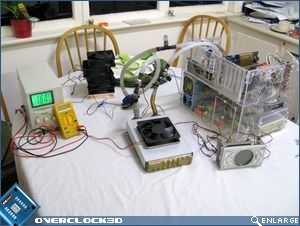 All static pressure readings were taken whilst the fans were running at 12v, and 3 x 60 second samplings were taken each time via RS232 software and uploaded to my computer via the serial port. 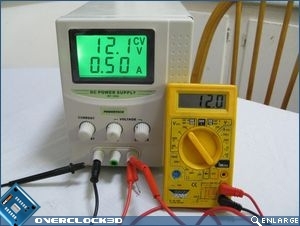 #Note: The digital Manometer that I have used for todays testing is accurate to +/- 2%. However, the digital readout only records to 1 decimal place which makes the results relative in the grand scheme of things, but fails to provide an exact amount of static pressure i.e to two or more decimal places. Currently this is all my review budget allows for at the moment, but I will be upgrading my Manometer in the near future to a better model. So please bear in mind that when you see the static pressure graphs on the next page, that when a fan shows '0' static pressure it is actually between 0.0 cmH20 and 0.099 cmH20. The Ultra Kaze fans were tested for free air flow capacity using a calibratable digital Anemometer, upon which they were allowed to run at 5v, 7v and 12v respectively. I have chosen to test the fans at these three voltages due to the increasing number of people undervolting fans in the name of silence. 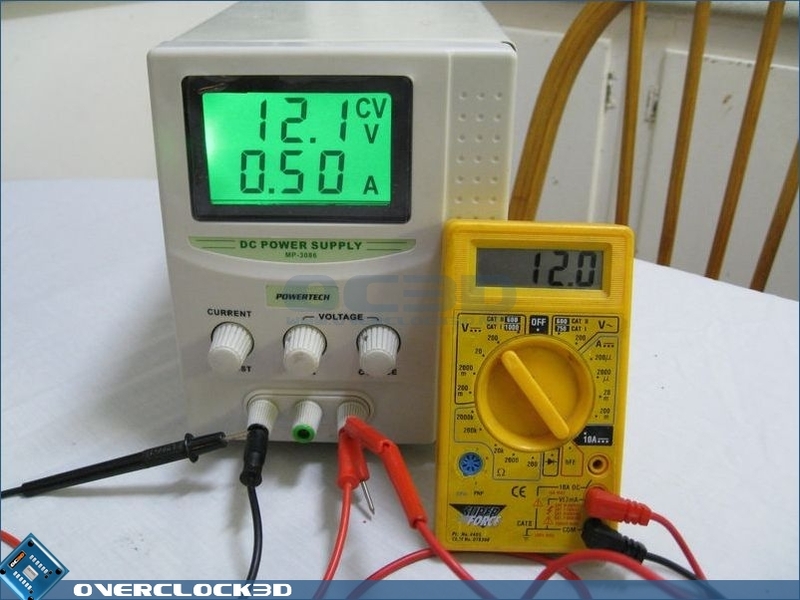 Power for the testing phase was provided by a variable power supply, and the voltages checked using a digital test meter. The Scythe Ultra Kaze Fans were also tested for air flow when installed on the airtight test chamber by using the calibratable digital Anemometer to record the air flow after it had passed through the cooling fins of the radiator. I have set up two thermal probes on the inlet and outlet of the heater core and temperatures will be monitored on a digital rheobus so that we can see just how well the extra static pressure effects water temperature within the radiator. All fans will be run at 7v and 12v and the resultant temperatures recorded. CPU load will be obtained by running 1 x instance of Stress Prime 2004. 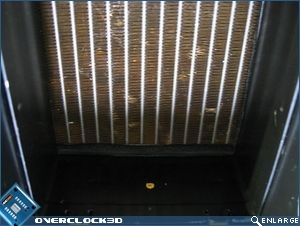 Temperatures will not be recorded until they stabilise for each fan tested. Ambient temperature at the time of testing was between 26.8 and 26.9 Deg Celcius. I have decided not to run with dedicated noise testing this time around due to time constraints, and that I wanted this review to be dedicated purely to assessing cooling performance. If the majority would like me to include dedicated noise testing then I will be happy to include it as an addendum to the review. However, during the testing phase and conclusion I will include my opinion of noise level as objectively as possible.